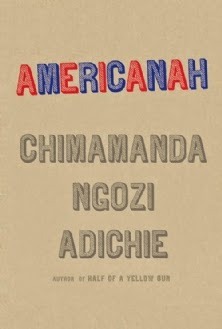 A couple months ago (after it sitting on my shelf for over a year), I finally read Americanah and oh how I loved it. I loved that while it was about many different things - race, hair, illegal immigration - it was also a modern-day love story. Even more there were many aspects of the story I could relate to. I do, however, have a confession, as much as I loved it, my least favourite part of the book was Ifemelu's blog (I know! I know - quite ironic from a blogger). I'm not sure why, but after a while I became less and less interested in Ifemelu and her opinions on race, hair, the 'returnees' in Lagos and more. It could also have been because I didn't really like Ifemelu as a character - I found her extremely judgemental and a bit selfish. Obinze on the other hand I really liked and wanted more of him. This isn't a review of Americanah - I didn't really want to write one as many have reviewed the book and I really feel like I am not going to add anything to the already existing reviews. It's more about an announcement via Chimamanda Ngozi Adichie's facebook page about Ifemelu's blog, which has now come to life. No, not "Raceteenth or Various Observations About American Blacks (Those Formerly Known as Negroes) by a Non-American Black". What a mouthful of a title!!! It's her other blog - the one she started when she moved back to Lagos - 'The Small Redemptions of Lagos'. The blog may have been my least favourite part of the book (another confession - I may have skipped through some parts of Ifemelu's blog), but while reading it I did think that it might have worked better if we had bits of it in the novel, but if it was taken out and released separately - as a supplement to the story. Well, they have done just that. The Small Redemptions of Lagos is a mix of fiction and fact. Ifemelu and Obinze are still together and they are now dividing their time between Lagos and Enugu. Obinze is also trying to maintain a relationship with his daughter - although his wife isn't really making that easy for him. In between that, there are glimpses into daily going-ons in Nigeria - like Ebola in Nigeria and leaking roofs at Murtala Muhammed International Airport, Lagos. I can't help but wonder if this blog is linked in any way to the movie adaptation, which Oscar-winning actress, Lupita Nyong'o, will produce and star in. And regardless of my feelings on the blog in the book, I think this is a great way to continue the story without having to publish a sequel - especially the way in which the novel ended. I actually liked the blog parts, but I could see how it'd get annoying after a while. I was more frustrated by how her blog got so popular so fast! Unrealistic, haha!